First 100 customers. Sounds like an easy target? But, is it so? According to a study by Bureau of Labor Statistics, only 4% startups make it to the second year, 3% to the third year; 9% crawl upto fourth year and only 3% cross their wooden year (fifth anniversary). The above-mentioned statistics indicate that completing the target of 100 customers is a tough task for most of the startups. I am sure, success is not achieved without tripping over a few rocks on the road. As a startup, you probably don't want to fall for the same mistakes that another enterprise has already made. This brings us to a million-dollar question: Why do startup fail and how to avoid it? If you look at the reasons of failure, it is clear that planning, the foremost step, is often missed. It is an established principle that to formulate solid business tactics and practices, one needs to plan. It improves the chances of success. Also, a lot of technical founders fall in love with their product idea and consciously or unconsciously try to build a better mousetrap. But do you think this is a one-stop solution to succeed? A big NO. Building a decent product is fine but, how can somebody succeed without taking into consideration the one for whom the product is being curated? By now, you must be wondering how to succeed? What can startups do to succeed? For any startup or even an established enterprise, it is important that they value their customers. In the digital age, the focus has shifted to the customers. Everything is created keeping them in mind. The study by Statistic Brain points out the same. One of the basic reasons why startups do not succeed is that they fail to value their customers, they neglect to understand their requirements. This is the major reason why your startups fail even after delivering a decent product in the market. 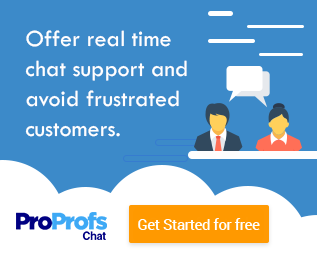 Live chat software is what one must look out for! The live chat solutions provide the startups with a new way to reach out to their customers. It assists them to gather sales, provide customer support and understand their requirements. So if you’re wondering how can it help then let me tell you that, customers prefer to interact with a company representative or operator rather than holding on to telephone lines for several minutes. As and when the questions arise, solutions can be offered to them directly through the sales or support team via customer support live chat. But, finding the correct customer support tool that matches your requirement as well is an important task. Some services are focused on enterprises. You might want to work with a tool that supports your chat volume. The solutions may vary in price, but some of them include a free trial so you can determine whether they're right for your business. There are a lot of live chat tools in the market but, a startup should opt for the one that helps them to stand out from the lot. Do you think providing live chat support via desktop version only will provide customers with the best support experience? Key takeaway: There are many instances when the entrepreneurs are not available in the office. Being a startup, you can neither afford to appoint too much of operational staff nor can you miss out on the queries of the prospective customers. Look for the one, that allows customer support even through mobile applications. It will assist you in having seamless communication with your customers, anytime and anywhere. All of us have heard the old proverb, “first impression is the last impression!” But have you ever thought that this concept also applies to enterprise customer service and that for a startup? Yes! The way you greet will create an impression upon your customers and website visitors; trusting you more with your help. It matters a lot what you will write to initiate a conversation with them. Gaining the customer’s trust will not be a tedious task if you greet the customers on a correct note. Key takeaway: Chat greetings allows to welcome the customers with customized messages based upon the user behavior. Also, a more personalized message is a great way to start off a conversation. This helps you to engage your website visitors, which means more lead generation. Sometimes, the customers don’t approach you even when they are stuck. This means, in a few seconds, leaving your website, they would approach your competitors. This evokes the prospective leads to die! Key takeaway: Invitation pop-ups help you to send auto chat invitations based upon the pre-defined rules. This not only spares you from manually identifying target visitors and sending invitations but, also ensures that no target visitors are missed. In the digital age, it has become mandatory to synchronize live chat with other marketing tools like CRM software. The customers expect much more from you. Recognizing the customers make them feel special and wanted. Live chat can provide you much more than chatting. Key takeaway: Being a startup, the more clear picture of your customers you have, the better communication support you provide. CRM software assists you to save the detailed information of every customer or a prospect, you’ve had a conversation with. Look for the one that enables your support operators to access customer profiles next time they return to chat with you. No one likes to be put on hold for several minutes. 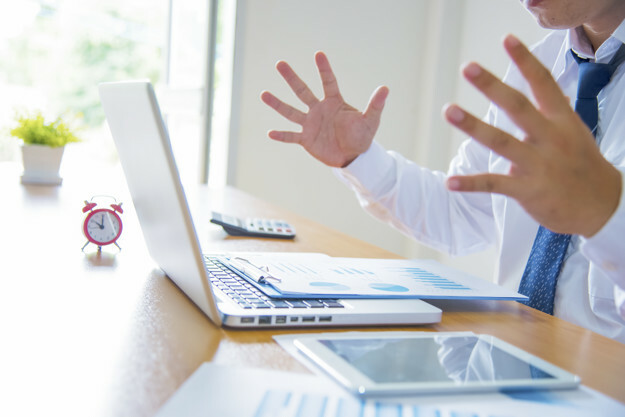 In fast-paced age, customers want prompt answers for their queries. And that’s when live chat tools come into play. When a knowledge base is integrated with a live chat tool, you can not only provide customers with prompt answers but also with the consistent ones. Remember, not having the specific knowledge about the products is also one of the principle reasons why startups fail. Key takeaway: Integrating knowledge base with live chat makes it more convenient for you as well as for your customers to get what they need in a hassle-free way. Sometimes all they need is self-help. In such cases, going to the customer support operator might get sluggish for the customers as well as the operators, as they have to answer the same questions again and again. Also, when the answers are consistent, it creates an impression in the minds of customers that high-quality support is being offered to them. At times, when the customer support operators are not logged in for a few minutes, causing you to miss conversations. A startup can never afford to lose conversations. Here comes the role of the support tickets! Key takeaway: This feature allows the customers to send messages or queries even when the chat operators are offline. The messages are then converted into tickets. As soon as the operators get online, they can view the missed conversations. This helps to prioritize the tickets and no query or complaint remains unheard. What’s more to it? 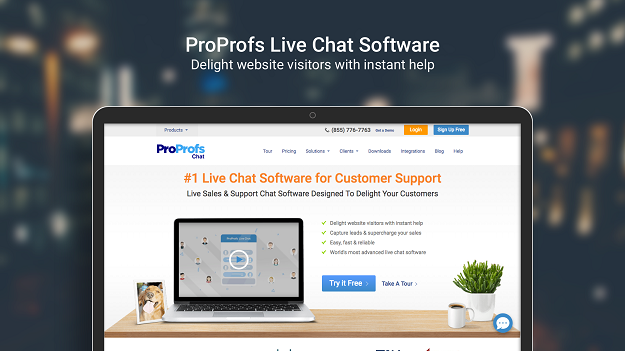 Will the live chat tool alone ensure 100% success? No! There are several other factors that you need to consider. Reaching out to first 100 customers is more art than science! Value your customers: It takes a lot of courage to try out a new brand. It is also a good idea to make your customer feel valued. Early-bird gifts are a great way to start. 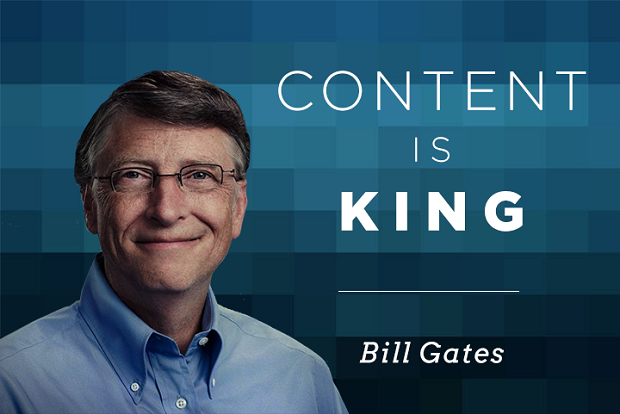 Use content marketing: Content, at least for the next 10 years, is the king. Blogging is one of the best ways to reach out to your customers. It helps to build trust and authenticity. Also, it helps you in bringing traffic. Companies that blog typically have 97% more inbound links than those that don’t. That’s a huge number. Give free stuff: People love to get free stuff. As a startup, you might be hesitant in providing things for free. But, remember as of now, all you need is “leads”. It has been proved that people who get something for free talk about them 20% more than something for which they pay. Get featured: A lot of startups plan and try to get featured directly on Huffington Post and TechCrunch. Not only it is a difficult task but is many a time ineffective as well. Undoubtedly, it brings short-term traffic, but conversion rates are terrible because people are unwilling to try new products. Relevant coverage from small-to-medium industry blogs usually does more for the startups. Successfully completing the target of 100 customers will not be a daunting task if you plan every single baby step that your startup takes. The best way to do all the things efficiently is to follow a systematic process of planning, committing, tracking results and investing in the correct product. This will enable you to reach your milestones in a better way.